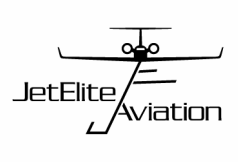 At JetElite, we understand that each aircraft owner or operator's mission is unique. With our experience and knowledge of this factor, we offer the most comprehensive, custom tailored aircraft services you want and need to give you the most flexibility of your time machine. JetElite's experienced team of aircraft specialists work tirelessly providing you with the most seamless and detailed service catered directly to your needs. We believe this personal, custom tailored service is paramount in the industry. It's just one thing that sets us apart in an ever-evolving industry. We invite you to contact us to see how we let your priorities take flight. Any Aircraft. Any Location. Any Mission. Any Time.